Head over to get this Unfinished Established Family Monogram for ONLY $17.99 (Retail $34.99)! Commemorate a milestone occasion with an unfinished wood 19" EST Family Monogram. Ideal personalized wall décor for a family room or entryway. The single script initial monogram with family name and date also makes a great housewarming, engagement or wedding gift. 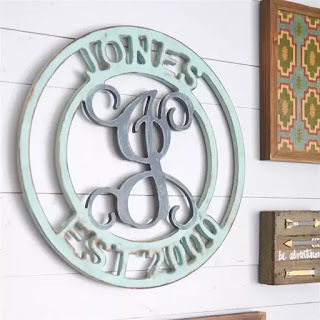 These monograms are easy to finish with your favorite paint or stain.